In certain conspiracy circles it has been claimed that Trump’s Southern Border Wall is not meant to keep immigrants out, but rather to keep Americans from leaving. Now the IRS is throwing additional kindling on that fire. Barr makes a valid point. Let’s not forget the IRS targeting scandal that ended up going nowhere. Conservative individuals and groups were targeted by the IRS based solely on their political beliefs and affiliations. Let’s pause and go back to that crazy wall conspiracy. Does the wall really serve more to keep people in than out? It sounds ludicrous but there is certainly a lot of circumstantial evidence to back the claim that your government does not want you to leave. 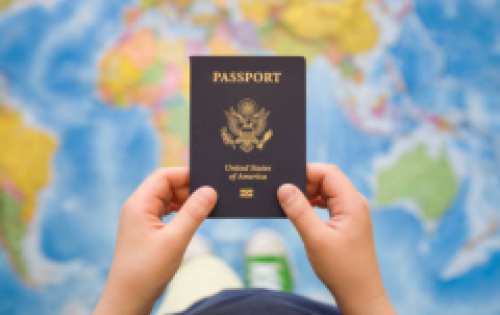 For instance, did you know that the fee to renounce citizenship in America is higher than any other country in the world? When the news broke a year ago that the U.S. was hiking the fee to renounce U.S. citizenship by 422% there was a backlash. If anything, the uptick in American expatriations grew rather than declined. The U.S. State Department said raising the fee for renunciation of U.S. citizenship is about demand and paperwork. Perhaps, but a hike from $450 to $2,350 is still steep. That is more than twenty times the average level in other high-income countries. The State Department complains about demand on their services and all the extra workload they have to process people who are on their way out. So is our government really that desperate to keep people from leaving? They are happy to let you go, so long as you leave the required pound of flesh behind. After that, please don’t let the door hit you in the assets because those assets belong to the IRS.